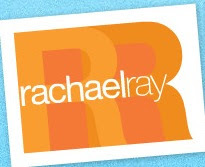 Rachael Ray's talk show is all geared up for Sweeps. They are callling the month "February Favorites" and are giving away a whole bunch of goodies to the studio audience each show (so count yourself lucky if you got to go to one of these tapings). The sweeps spectacular began with her Rachael Ray on Ice episode, with Denis Leary, filmed on the ice rink at Bryant Park. Her sweeps shows continued with the "Super Bowl Recipe Playoff," in which the New York Giants' Ottis Anderson, Atlanta Falcon's Quarterback Joey Harrington, and New York Jet's Offensive tackle D'Brickashaw Ferguson had a Super Bowl recipe cookoff hosted by Mario Batali. The remaining sweeps guest include Ringo Starr, Brooke Shields, Sarah Michelle Gellar, Paula Abdul, Dennis Quaid, Jeff Probst, Mary-Louise Parker, Kate Walsh, Larry The Cable Guy, Bindi Irwin, Oprah's health guru Bob Greene and Howie Mandel. The press release about sweeps also stated that Rachael's show is now in "194 markets, airs Monday through Friday in nearly 99% of the country." I loved the pre-super bowl show. I thought the football players competing against each other was hilarious. Those guys were really into it, weren't they?